Red fescue in flower growing on Calvert Island shorelines. Photos by John Reynolds (bottom left) and Andrew Simon. 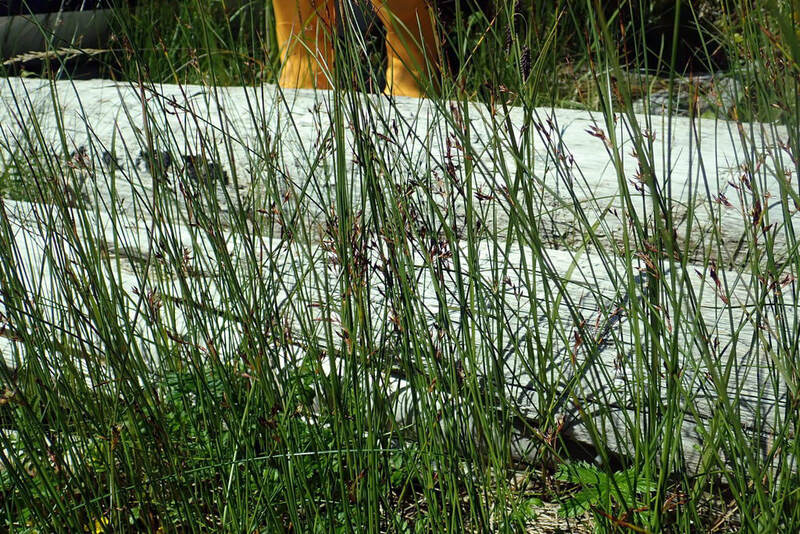 This perennial species is rhizomatous, with straight stems rising rising one at a time along the length of the rhizome like the teeth of a comb. The leaves are only basal and mostly reduced to yellow-brown sheaths around the base of the stem. The flowers grow along one side of the stem, and look like extensions of the stem. They are light-coloured, and are surrounded by greenish to dark brown scales. When they are compact they are only 1 cm long, but when open they can be 15 cm in length. More identification details can be found on the E-Flora species page. Baltic rush grows in wet salt and fresh water habitats from low to middle elevations. Common habitats include wet meadows, brackish and salt marshes, tidal flats, and along the shores of lakes, beaches, and river bars. This is a circumpolar species - it is found across Canada, parts of the United States, and Eurasia. It is a common species in BC, and its west coast range extends north to Alaska and south to California. 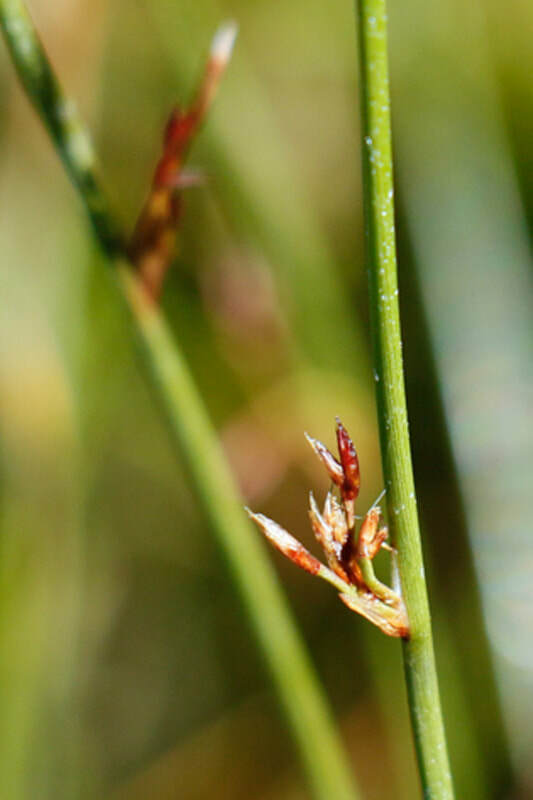 Baltic rush is included in with Arctic rush (Juncus arcticus), and is also called Juncus arcticus littoralis. Brewer's rush (J. breweri) is a similar species, with twisted, flattened stems and a globe-shaped inflorescence. 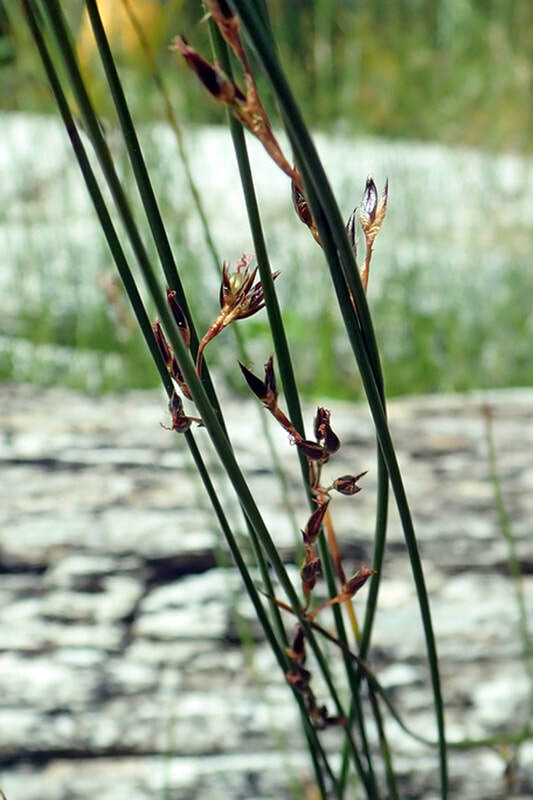 Juncus balticus Willd. In Klinkenberg, Brian. (Ed.). E-Flora BC: Electronic Atlas of the Plants of British Columbia. Lab for Advanced Spatial Analysis, Department of Geography, University of British Columbia, Vancouver. Accessed 21/08/2013. Pojar, J. and MacKinnon, A. (1994). Plants of Coastal British Columbia. Vancouver, BC: Lone Pine Publishing. P. 410. Kelly Fretwell and Brian Starzomski (2013).